The CTR and performance can vary a lot from one creative to another, make sure to upload many different creatives. Our Ad-Server will automatically send more traffic to the creative having the highest performance. Remember, you can upload up to 20 creatives per campaign! Make sure to set the proper “Crop Anchor Point” for each of your creatives so they look good in all conditions, including horizontal and vertical widget configurations. Don’t neglect the title and description of each creative as it can have a major impact on CTR as well. If targeting different countries, provide in the appropriate language. For RON campaigns, use the CPC payment model so your CPM is automatically adjusted for every spot, including low CTR spots like footers. Create specific campaigns for premium sites and use the Smart CPM model to ensure you get top quality impressions. Use ExoClick’s deep targeting features to fine tune your reach. Use our “Offers” feature to test different landing pages and let ExoClick optimize it automatically, find out more here. So once a user has clicked on your native ad, again you need to engage them, therefore it is highly recommended that your landing page should provide some form of content, being text, pictures or videos. We recommend that your marketing should be in the form of an article or tutorial. 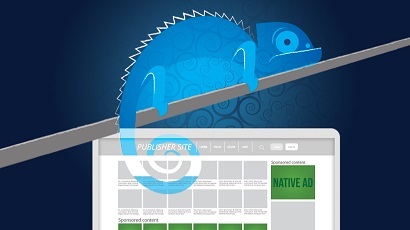 Native advertising brings great results when the story comes before the promotional part. Don’t say how amazing your product is or what type of superb services you offer. Tell a story first, use the page as a tool to educate the consumer about your product or service, provide customer testimonials, if it is a live cam product try interviews with some of the models. Deliver the story and put your call to action right down at the bottom of the landing page. By making the landing page more lifestyle orientated you will increase your conversions because you are engaging the consumer.